Andre Aranez prepared this video showing the test runs of UCI’s three race cars that are to compete at the 2012 Energy Invitational. Gamma is an all-electric race car with motors at each wheel driven by Litium-ion batteries. 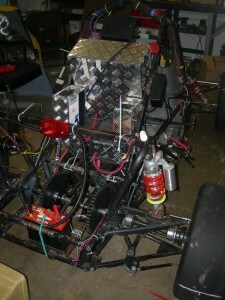 Delta is a CNG race car designed for high performance. 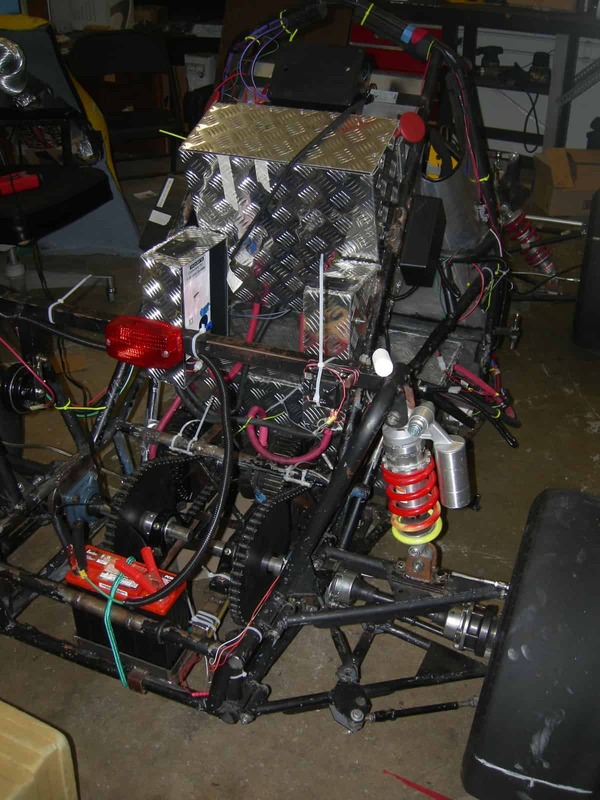 Epsilon is an FSAE gasoline powered car that won first place in fuel efficiency at the 2011 FSAE California competition. Third year Mechanical Engineering majors joined a team of Electrical Engineering majors from UCI to prepare an all electric vectored drive system for the UCI Energy Invitational. The drive systems for Gamma is shown here. The vectored drive system consists of 15hp DC motors connected one to each of the rear drive wheels and controlled though a specially designed set of motor controllers. The UCI Energy Invitational has competitors run on a course that combines highway, autocross and metered idle sections with only $1.00 of the energy of their choice. This year six entrants competed on May 23, 2010. Teams from UC Irvine, UC Davis and Cal Poly Pomona formed the collegiate class, and an inventor’s electric three-wheeler, a first generation Honda Insight and a Smarte Car formed the enthusiast class.